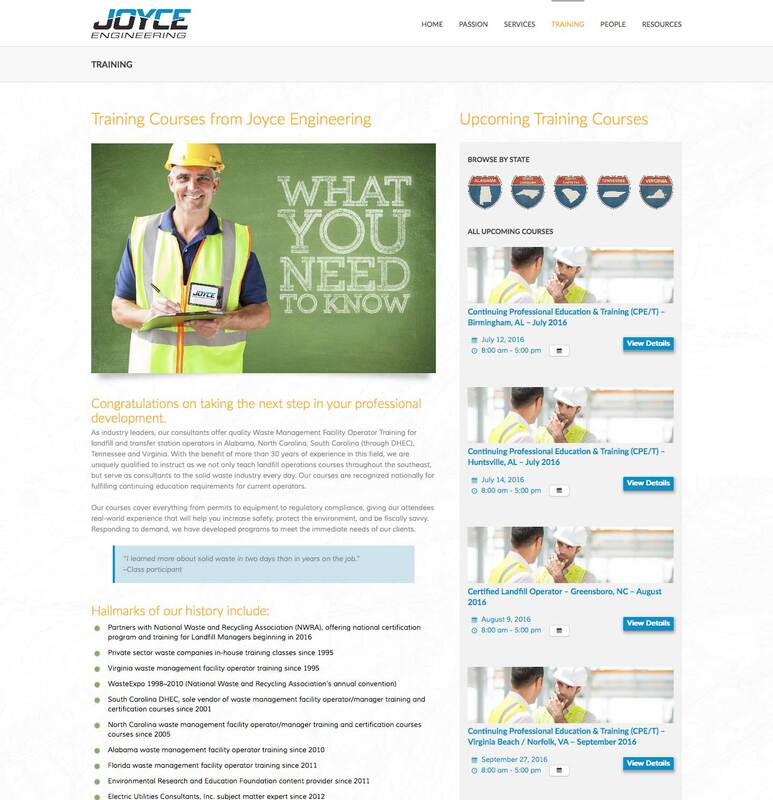 TWELVETWO is pleased to announce the re-design and launch of Joyce Engineering’s new site. Special thanks to Jeff Blair of DesignVisions for his design expertise and his many contributions overall. 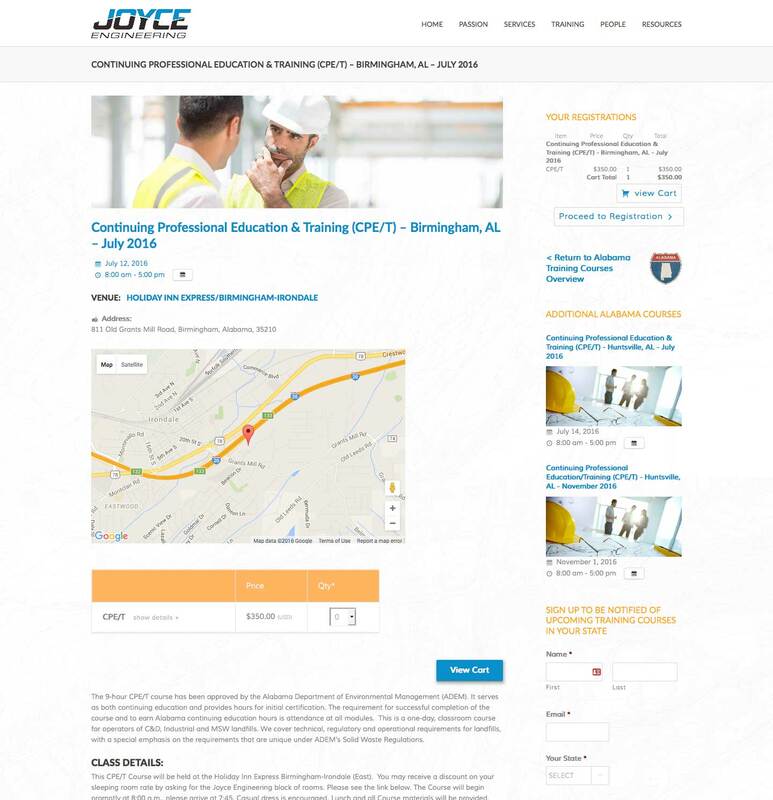 The site features an events module and e-commerce system customized to allow visitors to securely register and pay for training. 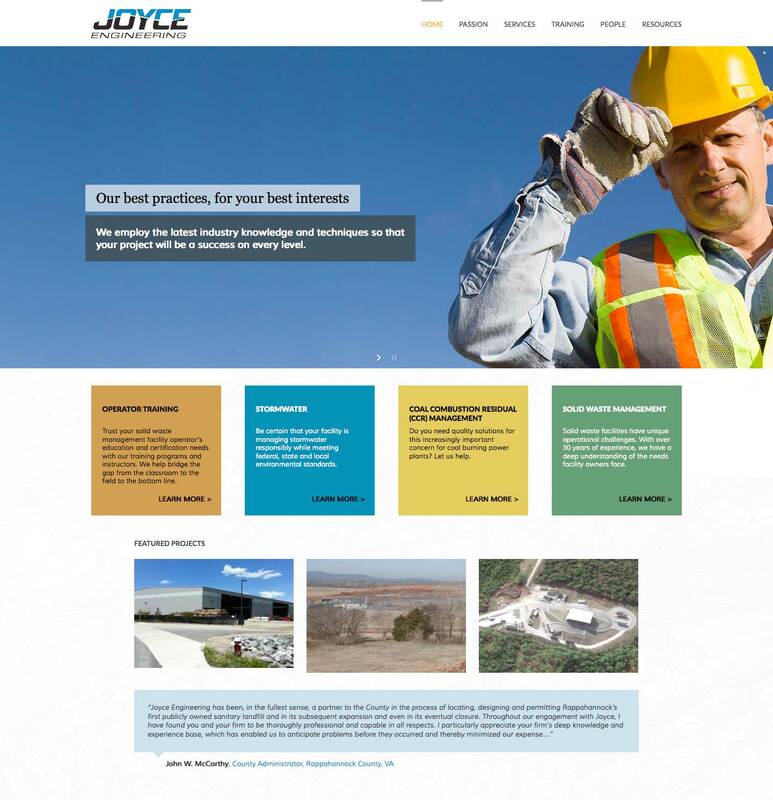 Since 1983, Joyce Engineering has provided engineering and consulting services to public sector clients, private companies, large industries, as well as federal and military clients. Joyce is based in Richmond, VA with offices in Greensboro, NC, Charlotte, NC, and Charleston, SC.